Anyone curious as to where Americans United for Safe Streets is getting and spending it’s money need to look no further than here. Glenn Reynolds has noted they are an astroturf group. He’s not kidding. Look at the donation numbers and tell me that group isn’t Mike Bloomberg donating his money and doling it out to favored New York and DC based consultant and advertising firms. Look who else is giving too. Abby Spangler, 500 dollars. Colin Goddard’s Dad, 200 dollars. Josh Horwitz, 200 dollars. What faith and dedication these people have in their cause! Mayor Mike is willing to donate serious money, but the rest of the gun control intelligentsia? I think it’s a testament to their lack of faith, I could raise more money for our cause by providing a link to NRA’s political efforts here, and encouraging people to donate 30 bucks. I have to question whether Mayor Mike is the only one who has any faith in the future of gun control. And even then, I’m pretty sure half a million to Bloomberg is the equivalent to change under the sofa cushion for most of us. We win because our third stringers are more dedicated than their first stringers. If AUSS weren’t a phony front group for professional politicians and activists that would be news. Just to prove you right, I’m sending in my $30 now. Thanks Wes. I kicked 100 myself (been meaning to do that anyway) so that’s 130 we’re up to at least. According to an early mention of funding for Americans for Unsafe Streets, our pal George Soros gave Bloomberg $500K, and Bloomberg supposedly kicked in five G’s himself. Sebastian, Your bias is showing. I don’t see anything wrong with this group being mainly funded by Bloomberg, or Soros. The derogatory term “astroturf” is just that, a derogatory term. And concluding that the contributors show some failure on the part of the gun control movement is pretty silly too. It’s not like they’re the only place for folks to contribute, and besides, no one ever said the gun control side has more contributors than the pro-gun side. The point Sebastian is trying to make is that Bloomberg and other antis have a proven history of creating phony front groups to give the illusion of public support for their policies. If gun control had any real popular support they would not need to do that. One hint that Americans United for Safe Streets is astroturf is that there’s nothing on the site indicating how one can join the organization. 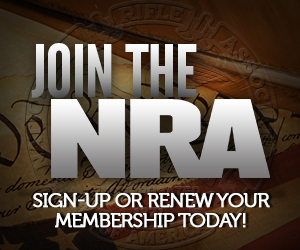 This is in sharp contrast to the big “Join” link on the NRA’s website. If it was an actual grassroots organization, it’d actively solicit new members. Who says this is “creating phony front groups to give the illusion of public support?” Only you guys. There’s nothing phony about it and its intention is probably just what they say it is, not to give the illusion of anything. There’s no big JOIN button on the site like the NRA site. Wow, that proves everything doesn’t it. How you guys can call anyone else biased is the most amazing thing. Face it MikeB, your side has no true grassroots support. That’s why we call it astroturf.